Assassin’s Creed story add-ons have always had to walk a fine line of sticking with the story and feeling right. “The Davinci Disappearance” got it right and was a perfect add-on to Assassins Creed: Brotherhood – which I always hold as the best Assassin’s Creed game prior to ACIV: Black Flag. On the other hand, “The Tyranny of King Washington” for ACIII, while interesting at best, seemed nothing like an Assassins Creed game with its use of animal superpowers and pure historical fiction. 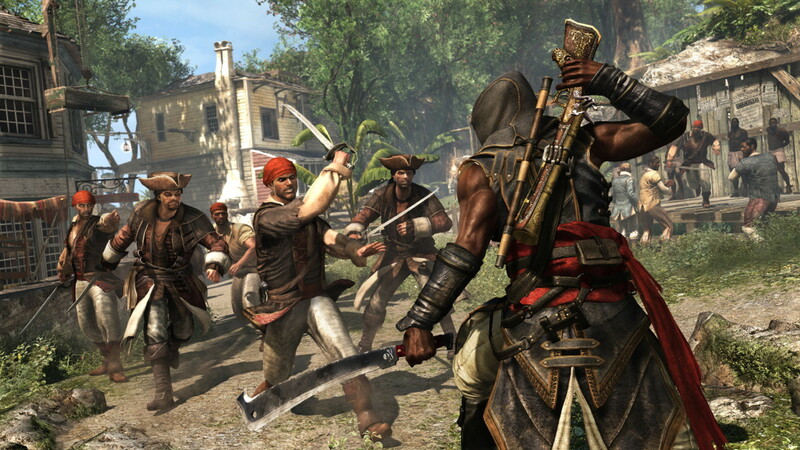 “Freedom Cry” for ACIV: Black Flag not only fits in perfectly with the main story-line, but also is an astounding success considering it allows people to play as a brand new protagonist. 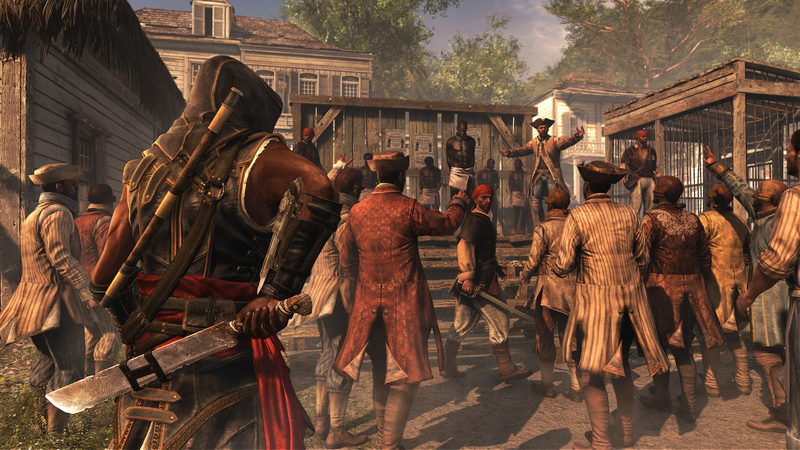 In Assassin’s Creed IV: Black Flag we met a charismatic former-slave named Adewale. Despite serving under Edward Kenway, there were many times he slapped some sense into the ever-dreaming Edward. 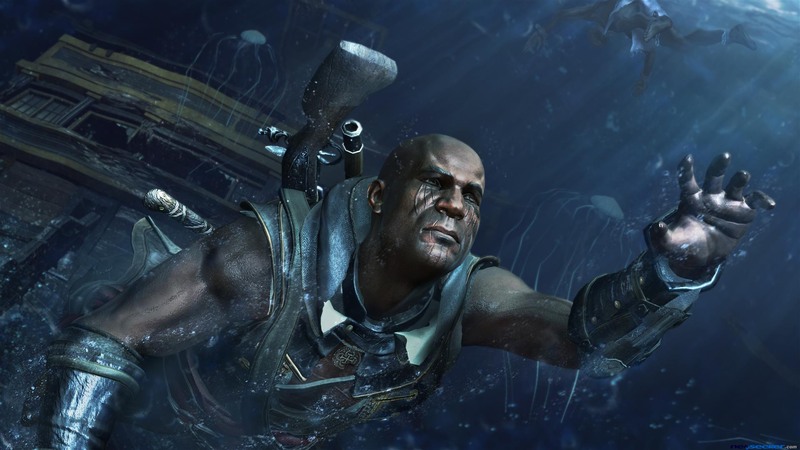 Adewale even joins the Assassin Order before Kenway – the title character – does, so this Adewale spin-off is not only fitting, but powerful as we see from the trailer. If you loved Adewale in the main story, you’ll love him even more here. His motivations are very different from his friend Kenway – whom he reminisces about in several missions – but like his friend he takes some liberties with the creed he has sworn an oath to – albeit to a much more honorable cause. Set mainly around Port-au-Prince, “Freedom Cry” follows a shipwrecked Adewale’s quest to help a Maroon rebellion before returning to his Brotherhood, but don’t think that means its set to one town. 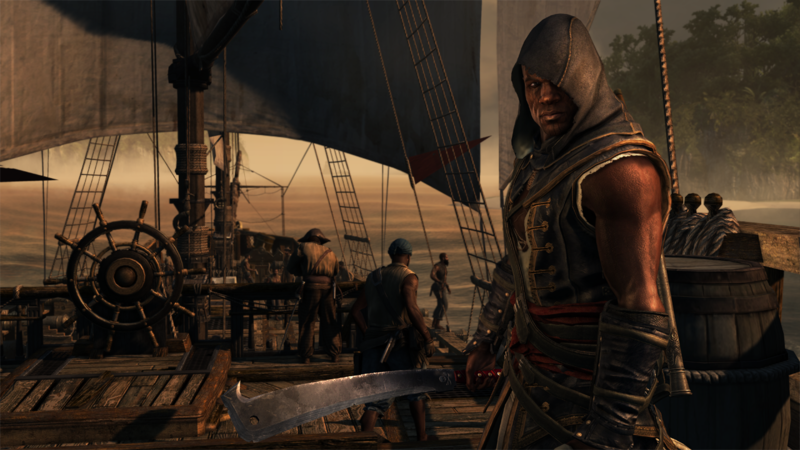 After commandeering a new ship, Adewale returns to the sea and accompanying areas freeing slave ships and finding lost treasures along the way. If you thought Edward had a brutal fighting style, Adewale’s takes the prize. Between the newly added machete and pocket cannon Blunderbuss, there’s carnage to spare. What the Blunderbuss lacks in speed it makes up for in overwhelming power. Though I miss the distance and speed of wielding pistols, the blunderbuss is extremely effective if you manage to get a bunch of enemies close together. Firecrackers also make an appearance in this game as a way of drawing a guards attention, but ultimately seem rather superfluous. Call me old fashion, but sleep darts will forever be my new favorite non-lethal tactic. Diving returns in this add-on, and maybe its because of my Tip/Tricks Article on Diving, but these missions seemed much easier in this installment. At least that is true for the most part. The most exciting and groundbreaking portion of this game happens when you must escape a sinking ship as it is quickly swallowed by the waves. It is the perfect fusion of underwater mechanics with the puzzle solving that we expect in the ancient temples. Honestly, this was not only the most fun portion of the game activity-wise, but also the saddest. I may or may not have screamed “NO” during the events leading up to it. You’ll see what I mean. In case you don’t take my word for it, just look at Adewale’s face and try to tell me this isn’t the most intense moment of the entire add-on. I personally wish it was a little longer, but overall “Freedom Cry” gives us a perfectly contained story. With no animus fragments to collect, free weapons based upon how many slaves and Maroons you save, and far fewer side missions this is a very easy story to complete to 100%. Personally, I recommend exploring the other islands and forts as soon as you get your ship. You will discover new weapons fairly quickly and they will make all the difference in combat. 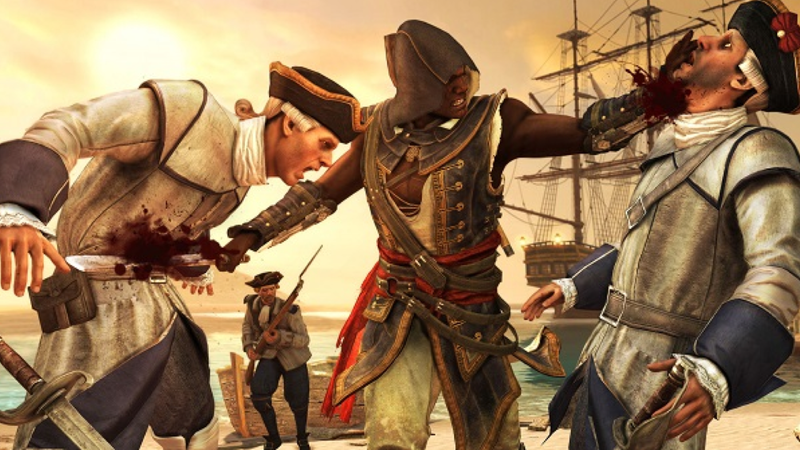 Freedom Cry still takes place in the Caribbean map you remember from Black Flag, but restricts the user to a much smaller radius. Forts that you’ll remember capturing in the main story have now fallen out of use and lie in ruin. Despite there being approximately 10 locations to visit, most have only one or two collectables. Since this is a quick DLC add-on, it makes sense that there isn’t much focus on collectibles for the sake of there being collectibles. Instead the collectibles you will find are story based, weapon upgrades, a few chests as well as a haunting encounter with an old friend. Despite its short length, “Freedom Cry” is a powerful glimpse into a truly horrible time in human history and the sacrifices that have been made in order to assure freedom for all. Overall, I thought this was an amazing mini-installment for the Assassins Creed story and wish we see more like it. The themes of brotherhood and justice are woven intricately in this powerful tale of freedom and the prices that must be paid – maybe even more than the whole of Assassins Creed 3. It is a true return to right vs wrong story lines in Assassins Creed that even sees Assassins and Templars working together. This was the story we needed. Ubisoft has been on the ball lately and with each passing installment, I’m getting more and more excited for AC5 – I’m assuming due out next November.